First off, welcome and i hope you enjoy your stay! second, you might want to see the "info(for newbies)" section before making your character. third, *IMPORTANT* everyone from the show that lives in konoha DOESNT EXIST! so dont add them to ur story, anyone else you can, like akatsuki, orichimaru, even any other hidden village, just make sure that u write your stories with everyone, from the show, that lives in konoha, so that they dont exist. The naruto rpg is basically a creative writing game, where you write about the character you create. "How do you create a character?" for the name section, just make up a name for your character. for the level, you start at level 1 and once you max your xp you level up. *IMPORTANT* for the Unique, as you know ppl in konoha have many things unique about them, here is where you can put whats unique about ur character. For example, naruto, he has ALOT of chakra thanks to the kyuubi, or neji, he has a bloodline. Description= Brando is about 6 foot tall, long black hair and dark brown eyes. He wears a black sweater with a hood, thers a emblem on the back, looks like a circle with a small triangle in the middle. He wears kinda loose blue pants and black ninja boots. He has a pack for his weapons, shuriken and kunai. He doesnt rly like tlaking much, and keeps everything to himself. When the times good he is serious and is strict with his duties. Brando and Nearsasuke i look foreward to your writing! Description=Sarah chan is really smart , she has some extraordinary powers in controlling and reading minds, and she is known of her cuteness that always fools her enemies in thinking she is harmless. Description: He goes by his last name, Faust. Dark blue/black hair with cobalt blue optics. His Seductive hypnosis is the shimmering glow of his irises, they seem to sparkled radiantly, translucent which draws in his darkest wishes.He stands at 6'3" inches and weights 165 pounds. 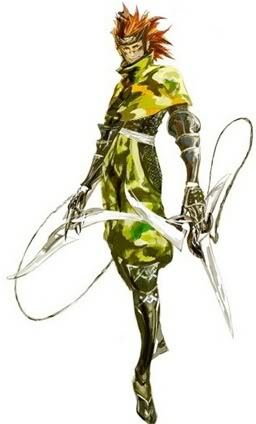 The only weaponry to his liking is his bow and arrow, if things turn harmful, he will defend himself. Mostly a lover and not a fighter. He has a brawny lithe figure. If he wants to get to know someone, he will be an outgoing, yet very outspoken person; blunt and or frank about his opinions. i look forward to seeing your writing!